With all of the diets available in the world today, why would you want to consider one that was only sold through a network of independent distributors? The advantages boil down to 'convenience', 'support', and 'science'. 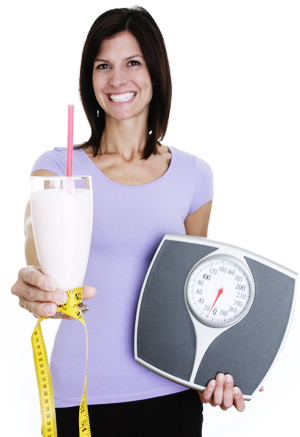 Herbalife products are all ephedra-free, and have been formulated to meet the nutritional needs of dieters today. The core of the Herbalife diet is a product called Formula 1. Formula 1 contains soy protein, vitamins and minerals, and amino acids. Two Formula 1 shakes a day provide adults with the nutrition they need, plus they help meet your daily requirements for protein so you don't lose muscle mass while dieting. The protein helps you feel full, and help keep you feeling that way for hours. When the urge to snack does kick in, you'll find there are a wide range of products to help you get through those difficult times of the day, with products like NRG tea (sounds like 'energy'), Lift-off, an effervescent energy drink, and snacks like protein bars and soy nuts. Having tried almost all of the Herbalife products, I will tell you that all of their shakes are delicious and of the highest quality. They're not 'grainy' or 'gritty', which is something I notice with lower quality protein drinks, and they really are delicious and filling. A smoothee made with Herbalife protein powder really does satsify. Their protein bars are great for on the go snacking, and are filling, delicious and very satisfying. When you're dieting, you don't want to feel like you're being punished, and these products help make sure of that. Your local Herbalife Independent Distributor is there to help support you. This support will come through advice on products, as well as 'checking in' with you to make sure you're hitting your goals. Research shows that when we're being held accountable that we will make progress more quickly and your independent Herbalife distributor wants to see you succeed. If you need more support, look and see if there is a Herbalife Weight Loss Challenge being held near you. These events (usually 12 week) are a great way to get support and encouragement from others.